So I have been blogging away now for a few months and love it. It has its challenging moments though and I have come across some terms that have baffled me! Anyway, here are my 5 top tips that I have learnt since entering the blogging world. Don’t be shy – There is an online parenting blogging community out there with their arms open wide. In person, I am quite shy and found that transferred into talking to people on Twitter and forums but when I went for it it really paid off. There are some great Mummy & Daddy bloggers out there who are more than happy to help you or just have a chat with you about your rubbish nights sleep with your toddler. Chat, ask for advice, read their blogs and comment too. This post would be as long as my arm if I tried to list all of my favourite bloggers but if you head over to my Twitter and check out who I am following that should give you an idea. Schedule – I work part time and the rest of the time I am with Little Man so I don’t have a lot of free time. 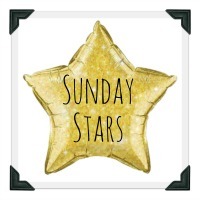 I have chosen Sunday afternoons as my main blogging time. I aim to publish at least 3 new posts a week which I write at this time. Any other posts that randomly come to me, I do when and if I can throughout the week. Scheduling is your best friend because you can stack up your posts and then set them to be published through the week. You can also do this with Twitter, I use Twuffer for this. Make Notes – If a blog idea comes to you when you’re sat on the train or when your giving your little one a bath, write it down quick! The amount of times at the beginning I had thought of a great post and then later on remembered that I thought about it but couldn’t remember what it actually was was getting annoying. Now I have a notes page set up on my phone, on my laptop and an actual notebook at home and in my handbag! Linkys – A month or so ago I had no idea what a Linky was, I didn’t even know it was a word! If you don’t know what a Linky is visit the Tots100 guide to them here. All I can say is take part in as many as possible because it really pays off and you find some great blogs to read too. Win win. Take good photos – I have to admit I am still getting to grips with this. I don’t take the best of photos but I am slowly learning about using the correct lighting and backgrounds. I think good photos really can improve the overall look of a blog so this is something that I will be spending a bit of time on over the next few weeks. A lot of established bloggers have written great posts with tips and tricks but two I have found particularly useful are by youbabymemummy and mummyofboygirltwins, click on their names to see what I mean. So there we go, from one newbie blogger to another I hope you find these useful. If anyone has any tips for me, I would greatly appreciate them! Some great tips here. I am also a relatively new blogger. Although I started my blog over a year ago I had a break and only started to take it seriously a few months ago. I have found it quite time consuming so perhaps I need to plan better. I like your idea of writing your posts on a Sunday but publishing them throughout the week. Scheduling works wonders for me especially for when I’m at work. Thanks for commenting. Hi, I found your blog from #SundayStars. I’m more of a book / baking / lifestyle blogger. I don’t have kids yet. But I found your list helpful, I haven’t heard of Twuffer, so I will go look at that now. Also your list of linkys will be helpful. So big thanks, and happy blogging. Amanda recently posted…Book Review: The Divorced Not Dead Workshop, by CeCe Osgood. Thank you. There is so much to learn isn’t there?! Me too, I have an older camera so use my phone a lot. Glad you liked the post. Great tips! I like the mention of Twuffer! Great advice for newbie bloggers and I totally agree with all of it. Mini Travellers recently posted…Tips for surviving planes, coaches and automobiles en route to a ski resort! Glad you agree! Yes! You worry if you don’t right it down you will forget or won’t be able to put it that way again! This is a great post. I started blogging at the beginning of Feb but only came across linkys and the blogging community after I joined twitter very recently. I totally get what you mean about making notes. I usually get a blog post idea in my head about 3am after yet another sleepless night but even at that time, I make sure to make notes so I don’t forget. Thanks for this post!